As we’ve covered before, the Streisand Effect is a known web phenomenon where someone, in an attempt to reduce attention to something, actually increases said attention. It is named after a 2003 incident in which Barbra Streisand attempt to pull images of her home from the web, in turn causing more people to distribute those pictures. It happened again when Beyoncé tried to remove images of her performance during Super Bowl XLVII, in 2013. Axl Rose does not know about the Streisand Effect. Last week, according to TorrentFreak, representatives for the Guns N’ Roses singer attempted to have removed, from Google, an unflattering photo of Rose that had been turned into a meme. 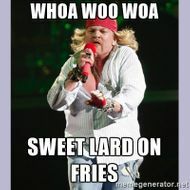 The meme, known unofficially as Fat Axl Rose, is not particularly good. Imagine a bunch of groan-worthy food puns made from GNR lyrics. That’s the meme. 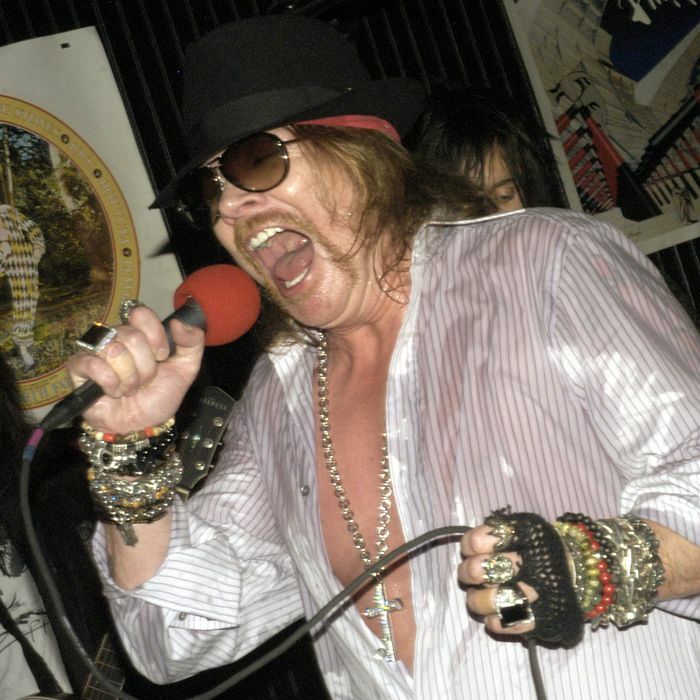 And yet here I am, telling you about Fat Axl Rose, because he tried to pull the photos from Google. Six DMCA notices like this one were filed in total. It’s not entirely clear who owns the copyright to the image. The original photo was shot by Boris Minkevich in 2010, but Rose claims that photographers authorized for the show signed the rights over. (Taylor Swift had a similar arrangement with photographers at her concerts.) Even if he had not signed the rights over, that would call into question whether they were authorized at all. Trying to pull memed images from the web is never a good move, in part because it just forces more attention onto them, and because it’s a virtually impossible task. Celebrities would do well to take a page from the playbook of Michael Jordan, star of the Crying Jordan meme (and former NBA player). A publicist told the New York Times what Jordan thinks of his namesake meme: “Michael actually thinks it’s funny.” Lean in to memes, celebs.